[Q] So STEEM is pegged to the US dollar. 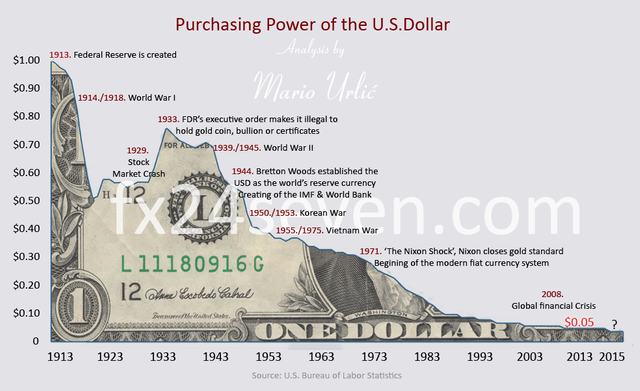 What if the US dollar lost all its value? Cryptogeeks like myself shudder at the sight of fiat. So I find it curious to have a cryptocurrency pegged to fiat. But I get it - a lot of people find dollars comforting. However, with all the 'money printing out of thin air' business going on in the last several years, the US dollar could hyper inflate and collapse as a result. So if the dollar became worthless, would STEEM be worthless too? Thanks for the clarification! And so for arguments sake, would that mean Steem Dollars would become worthless in that scenario? The answer would be a Yes, Steem Dollars would be worthless if the US Dollar collapsed. Most people in the world would not be worrying about cashing out their Steem Dollars, if the US Dollar collapsed though. They would be worrying about World Hunger, War, and the crap hitting the fan. Thank you for liking my post about Berlin Streetart. please have a look! Hope you like it ! Congratulations @q00p! You have received a personal award!